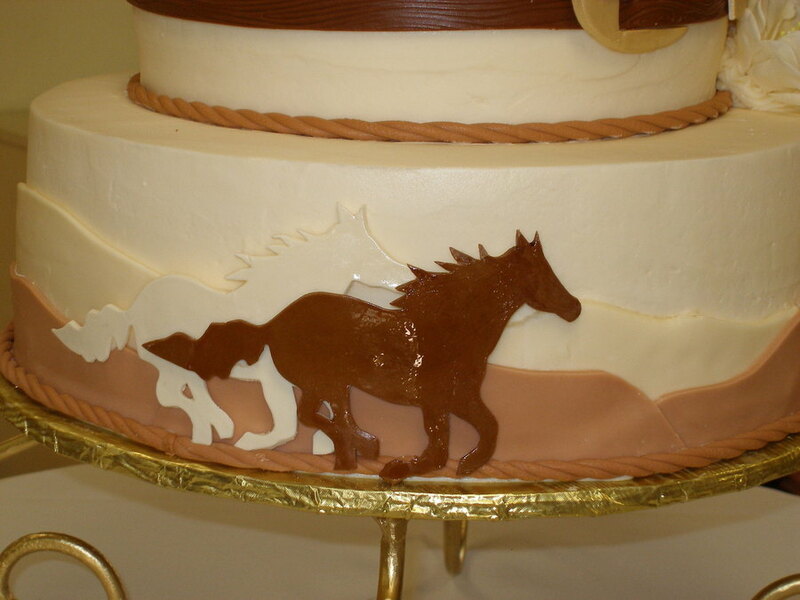 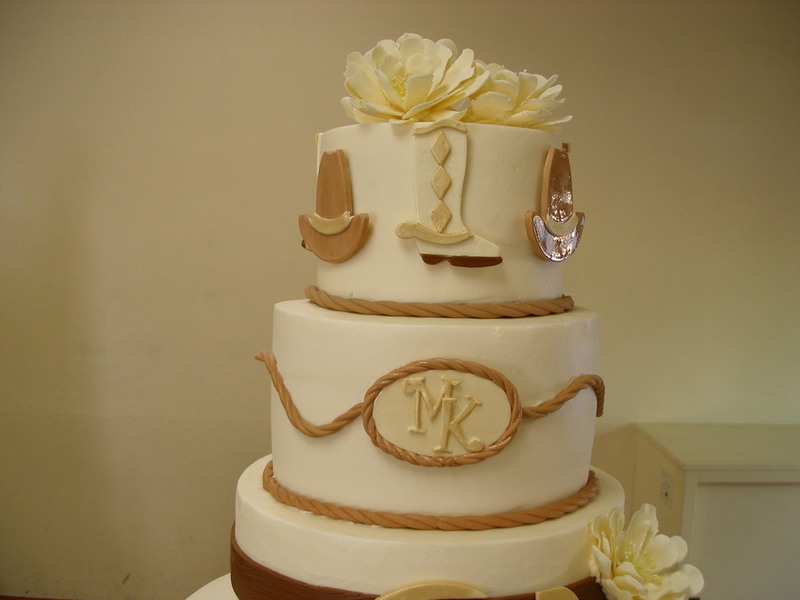 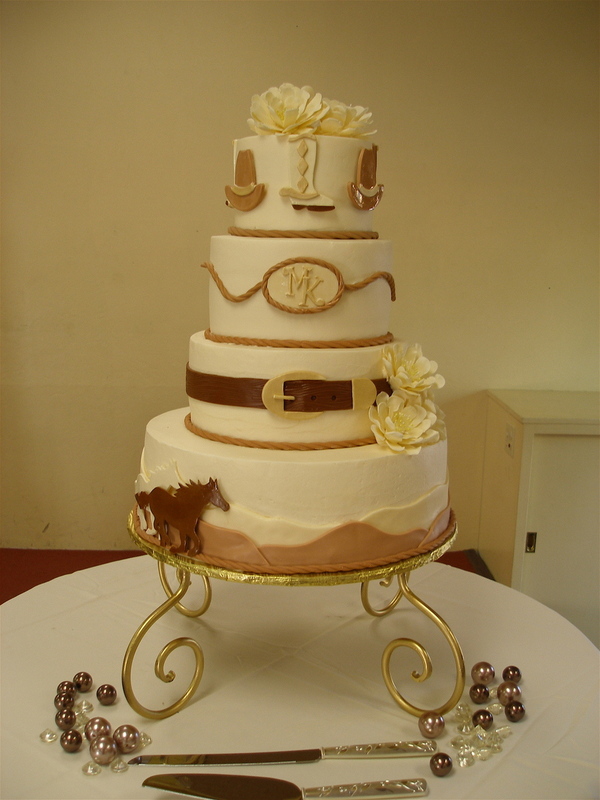 To honor their families from Montana, the bride and groom decided on a western theme for their wedding cake. 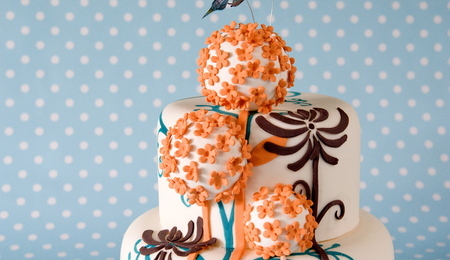 Decorations are made out of sugarpaste. 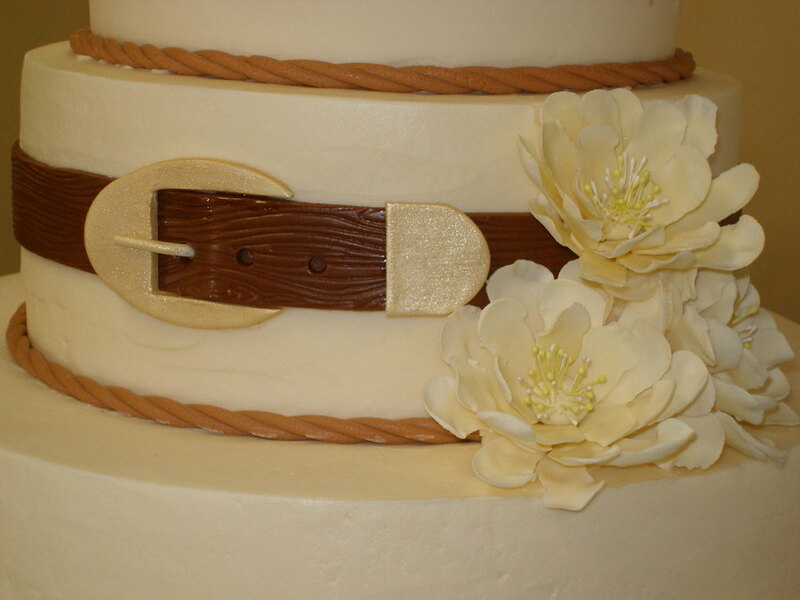 Overall buttercream icing. 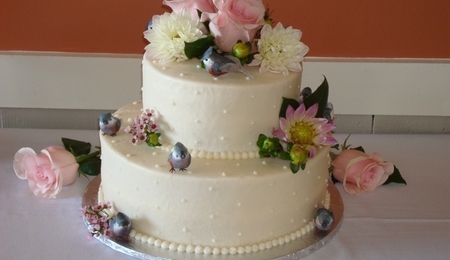 Flowers on cake are Montana's state flower, Bitterroot.